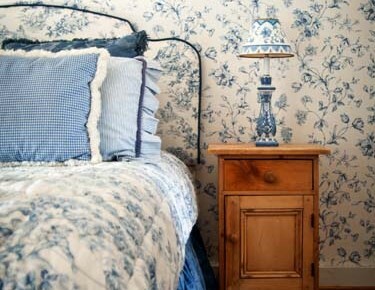 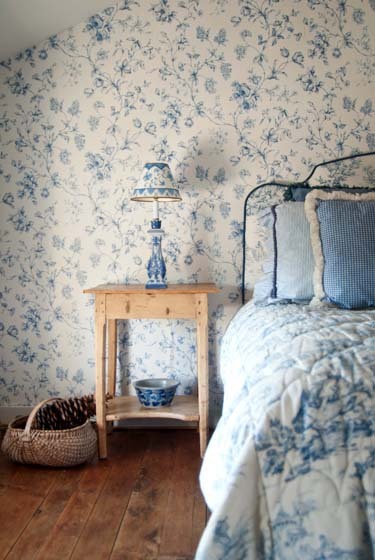 This suite, with its French Country Blue decor, is one of our most popular. 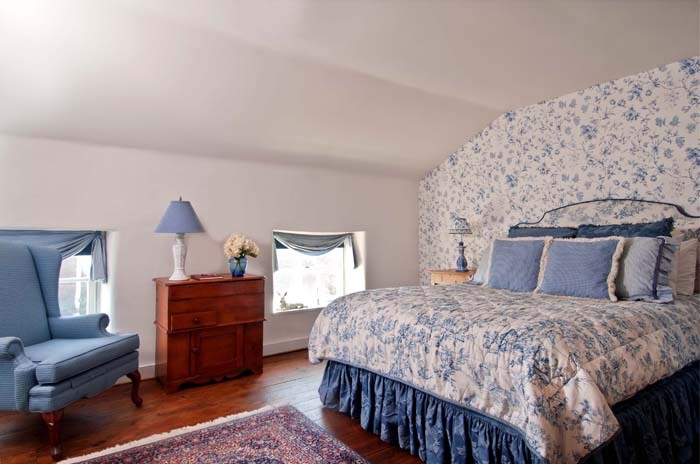 The romantic two-room suite has a queen-sized bed, which has a beautiful padded fabric headboard. 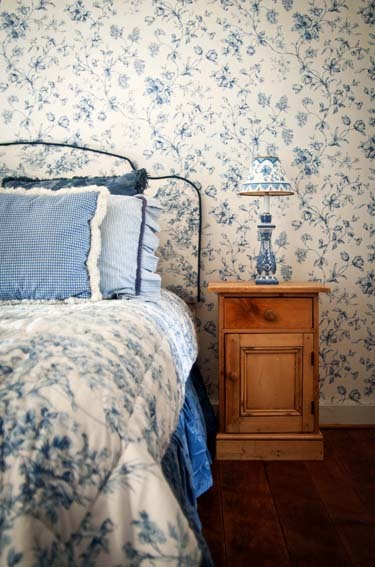 The suite is accented with antique painted chests, pottery and cozy eyelid windows. 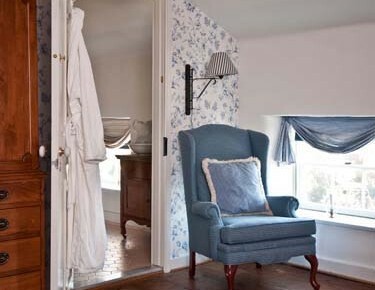 The second room is a quaint sitting room, perfect for reading the morning paper over coffee or tea, doing a jigsaw puzzle, or just catching up with each other. 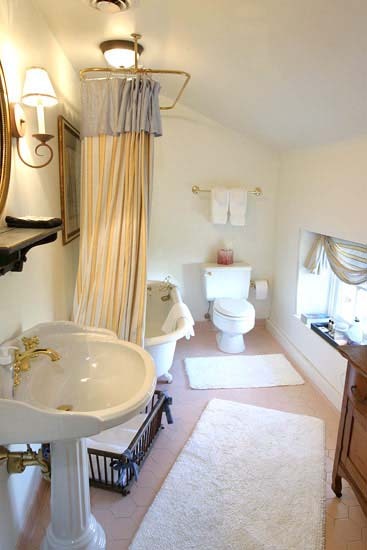 There is a private ensuite bath with an antique claw-foot bathtub (bubble bath included, of course!) 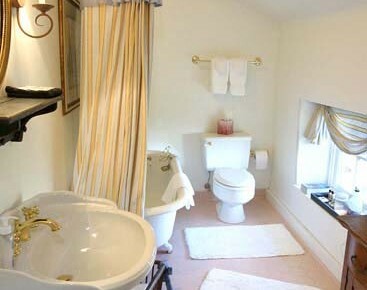 to which we have added an antique brass shower. 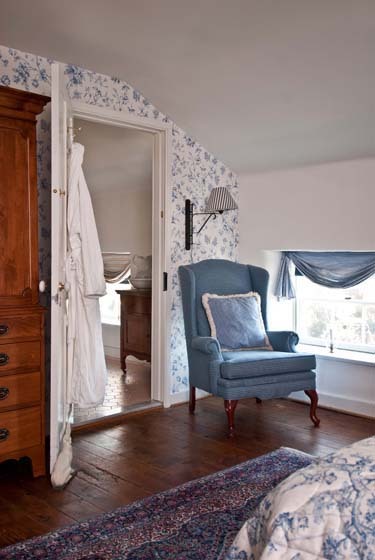 Enclosed in an armoire, there is a flat screen LED TV with FIOS cable with over 300 channels of TV, movies and music. 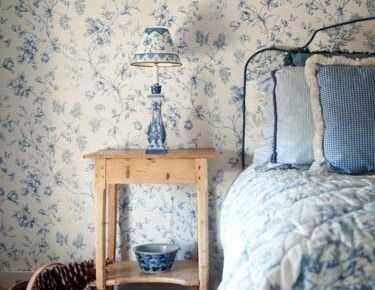 Free high speed Wi-Fi is included in this room and throughout the Inn.